Welcome to Prediction Central 2012, the place for prognostications about the 83 Academy Awards. Find Editor James A. Molnar's predictions, along with the actual winners, announced on Feb. 26. 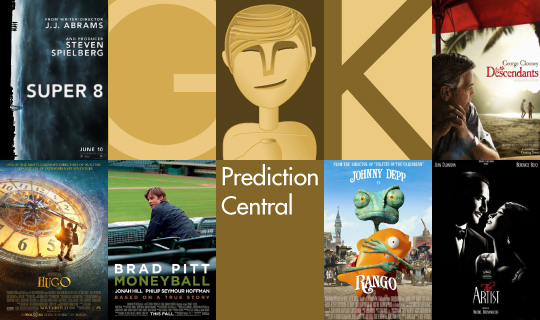 Welcome to Prediction Central, the place for prognostications about the 84th Academy Awards®. Editor James A. Molnar's predicted winners are below, in blue and bold. Winners, announced on Feb. 26, are also marked below. Molnar correctly predicted 13/24 categories (54%) — ouch! Find our team's full predictions on our downloadable ballot. The inclusion of "Extremely Loud," "The Tree of Life" and "War Horse" were surprising and unexpected, especially the first film. But with a flexible 5-10 nominations, it was possible for these films to make the cut. Originally predicted Clooney, as of Jan. 24. Originally predicted "Hugo," as of Jan. 24. Originally predicted "A Separation," as of Jan. 24. Originalyl predicted "Harry Potter," as of Jan. 24. Originally predicted "La Luna," as of Jan. 24. Originally predicted "The Shore," as of Jan. 24. Originally predicted "Harry Potter," as of Jan. 24. The 84th Academy Awards were televised LIVE on ABC Sunday, Feb. 26, 2012, at 5:30 p.m. PT. Read James' ceremony review. 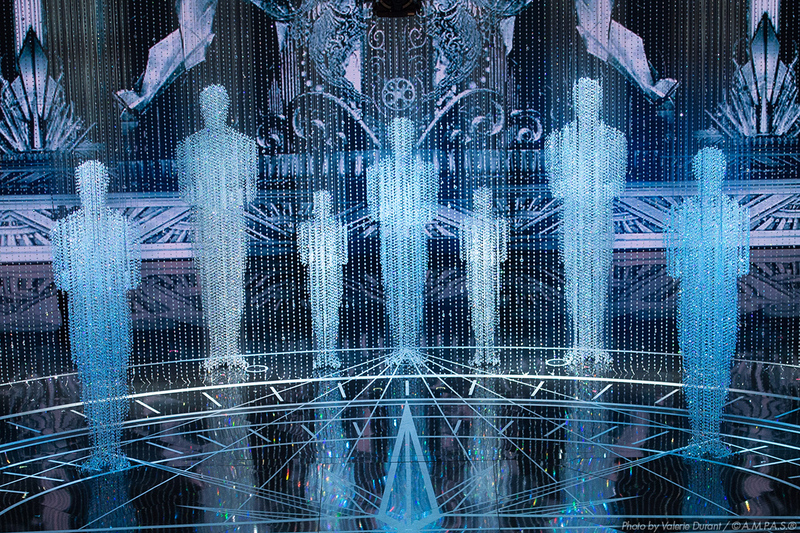 The Red Carpet arrivals show, again extended to 90 minutes, began at 4 p.m. PT. Read our fashion review. Take a look at 2011's Prediction Central recap. Please share your thoughts by commenting on this post or on Facebook or interacting with us on Twitter.